Sundays now have bottomless mimosas available for just $12 all day! 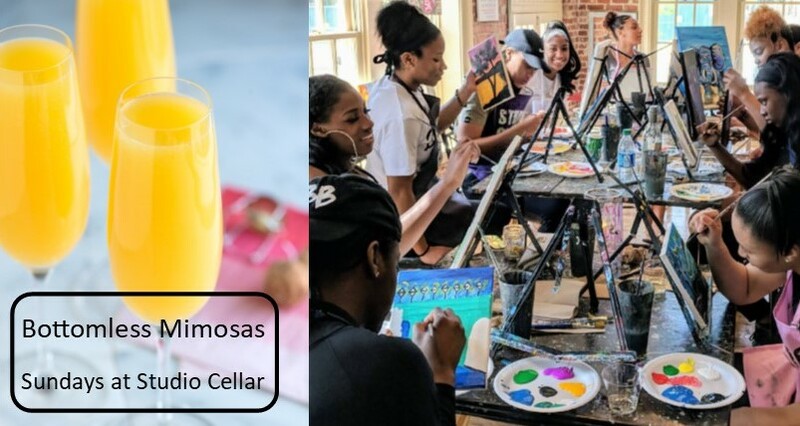 Join the class or come freestyle with us, and enjoy mimosas while you paint! NO RESERVATIONS NEEDED. ORDER THIS SPECIAL AT THE BAR TO ENJOY! You may reserve a class or just walk in for freestyle. Large freestyle groups may prefer to call for reservations. *Price is per person and to be enjoyed for the duration of your paint session.